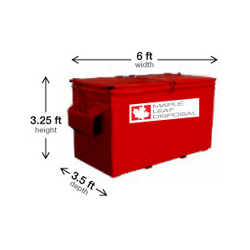 Keep your property clean on a daily basis with Maple Leaf Disposal’s Front End container Service. With pickups available from once a week to 7 times a week, we can tailor a service to fit your business needs. 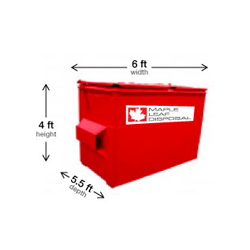 Whether your recycling Cardboard or General Waste, we offer Front End Containers that can be fabricated to have metal or plastic lids, rolling castors in case the bin needs to be moved or locking castors to keep it in place. Whatever your company needs are, together we can find the right program best suited for your waste & recycling needs. 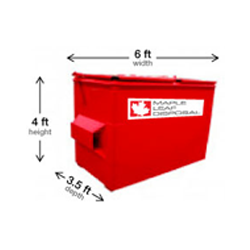 Order your Front End Containers for your business today. 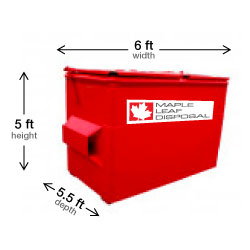 Maple Leaf Disposal can provide pickup to areas in and around Vancouver, Langley, Port Coquitlam, Surrey, and Burnaby.